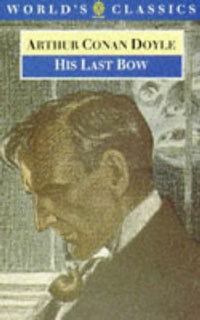 A Literary Odyssey: Sherlock Holmes: His Last Bow. 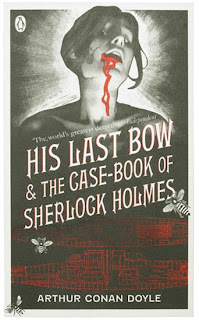 Sherlock Holmes: His Last Bow. 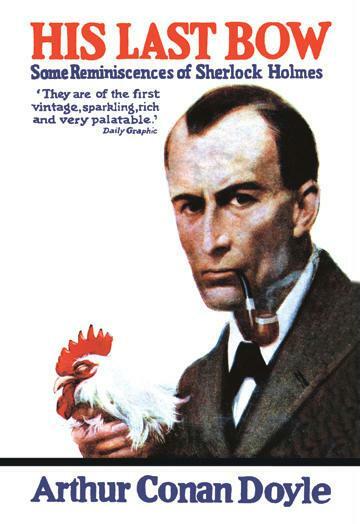 Like I said in my introduction to Sherlock Holmes, I am reading through all four novels, and all fifty-six short stories starring the famous detective. Rather than just skip around and read what I am feeling at the moment, I felt it was a better idea to read the novels and stories in order of publication. That way I can get to know Holmes and Watson as they develop. I am also going to point out one more time that while I am reading all NINE books featuring Holmes, they are only counting as ONE title on my overall list. See my introduction for clarification. I feel as though Sherlock Holmes and Watson are fast becoming some of my best and most intimate friends. In the eighth book in the vast collection of Sherlock Holmes mysteries, we, as the readers, are greeted with some phenomenal stories. His Last Bow contains some of my most favorite Holmes stories (that I have read so far), and continues to develop the famous detective's reputation for intelligence. His Last Bow begins with a preface written by Dr. Watson that explains that Holmes has retired and is living a fairly normal life away from London. 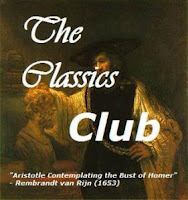 The collection of stories included in the volume contain many that were never before "released" to the public for various reasons. I love this little preface as a way of introduction to more stories about the dynamic duo. While you would think that not a lot of character development can happen in a single short story, by this point I had read nearly 40, plus four novels. Watson's little letter of introduction made my little heart warm. This volume contains far fewer stories than any other, with only 8. But, like I said, it has more of my favorites. Let's begin with "The Adventure of the Cardboard Box." In this story, a woman is sent a box with two human ears, freshly removed from their victims. She has no idea who they must belong to and is in a panic. Once again, Holmes steps in and solves the dilemma. One of the reasons I like this story so much is that it is a great example of human emotion. Holmes d idn't have to solve so much of a complicated story, but the people involved in this story truly touched me. I also loved "The Adventure of the Bruce-Partington Plans," which is about a missing set of plans for military equipment. Holmes gets to do a little breaking and entering and truly uses all of his sleuthing expertise to solve the case and clear an innocent man's name. I felt that this was one of the more interesting cases, given the political intrigue and mystique. 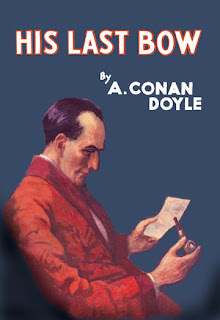 This collection also has "The Adventure of the Dying Detective," where Holmes is dying of a mysterious disease and will not let Watson near him. This is one of the cases that would never happen in modern times, given our extensive medical knowledge, but it was clever and interesting, and I loved Holmes ability to play a part, even on his "death-bed." However, the crowning jewel in this collection is the story called "His Last Bow," the final outing of Sherlock and Holmes, set far later than any of the other stories. A major difference is that this story is not told from Holmes' or Watsons' perspective, but by some outside third party. It is set on the eve of World War I and definitely shows some of the patriotic sentiments of the time. It was moving and stirring. And I can imagine that at the time of its publication, it was bittersweet. In all, this collection of short stories continued on the trend of more violent crime. I am sure that the novelty of having Holmes solve simple and non-violent crimes grew old rather quickly. We are all drawn to the ghastly side of human nature, and the crimes presented here for Holmes to solve display that need of the public. 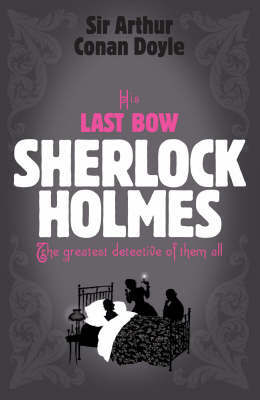 But, Doyle does a supreme job of giving Holmes more depth and heart as the stories go on. I think Holmes would like us to think that he is a standoffish kind of man, who doesn't rely on anyone, but Holmes needs Watson and the public to love him to be the man that he is. I can see that coming through in these stories. Again, I can only imagine how the public viewed "His Last Bow" as their last outing as a duo. For us, I can see it in the way we reacted to the last Harry Potter novel coming out. The end of Holmes and Watson as a team must have been heartbreaking for those who followed the pair from the beginning. 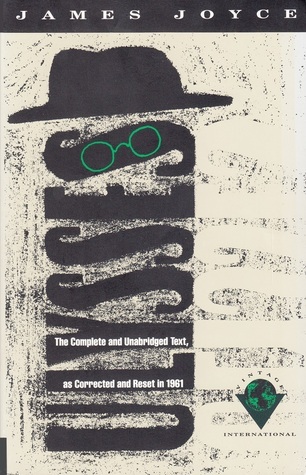 And even though I still have one more volume to go (and this volume was published after "His Last Bow" was released), I know it will merely be more "recollections" from Watson. I have been on a trip with Holmes and Watson, and I still have one more book, and 12 more stories to go until I get there and have to say goodbye for now. Wonderful entry. I posted it to my Twitter following under the hashmark #helpotherbookblogs. Maybe you can do the same for a review you like (don't forget to use the hashmark). Book 56: On Culture and Language. Top Ten Tuesday: Favorite Fictional Couples. Book 56: The Joy Luck Club and Book Stats. The Complete Sherlock Holmes: Finished. The End of the Crazy...I Hope. Book 54: On Fenimore Cooper's Literary Offenses. Banned Books Reading Challenge 2010. Book 54: The Last of the Mohicans and Book Stats.